Written on February 23, 2016 . Posted in Architecture and Design. RISD Industrial Design was well represented at the 3rd Yale Health Hackathon 2016. 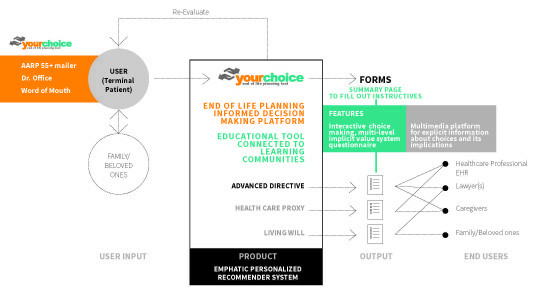 Claudia Rebola (Associate Professor, Industrial Design) and her team won the Best Design Prize with the project ‘Your Choice’, an application solution for end of life advance directives. Leslie Fontana (Professor, Industrial Design) and her team won Second Prize and the MIT Hacking Medicine Prize with the project ‘CarryFree’, a backpack with modular components for on-the-go nebulizations. 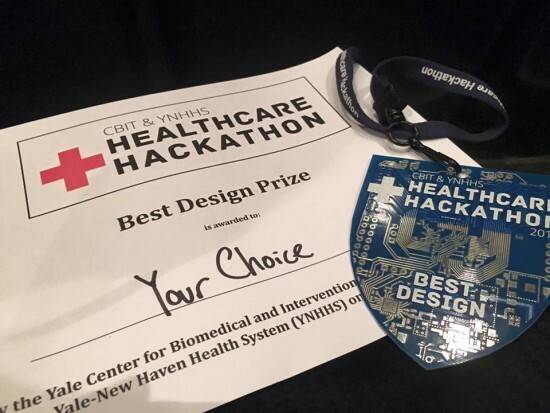 The Yale Health Hackathon is an international event presented by the Yale Center for Biomedical and Interventional Technology (CBIT) and the Yale-New Haven Health System (YNHHS). This year’s theme was Re-engineering the Patient Experience & Provider Engagement and had over 295 participants in 20 teams. The healthcare hackathon is an event in which people with diverse perspectives such as clinicians, engineers, designers, software developers, business people, problem solvers, and patients come together in one intense, fun-filled three-day weekend to develop solutions that could address challenges facing healthcare today. 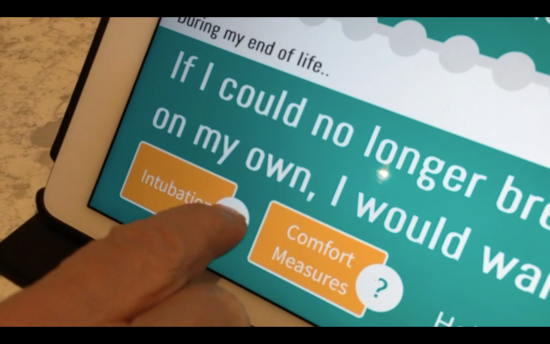 More information on the Yale Hackathon can be found here.